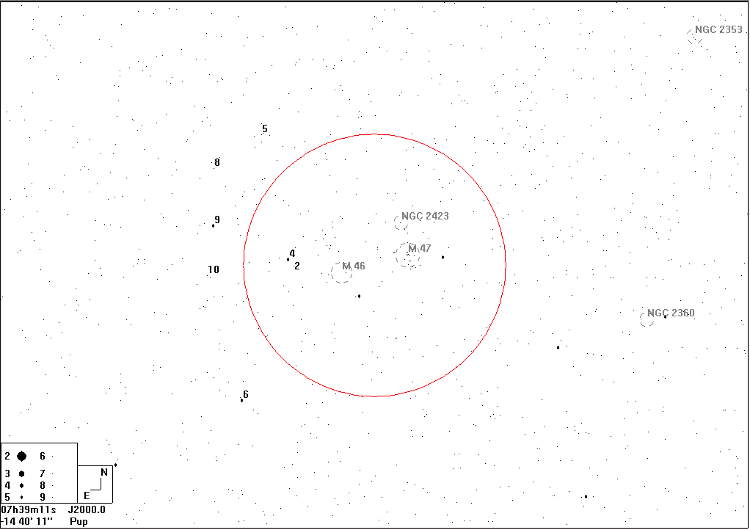 This pair of clusters lies 5° to the south of α Monocerotis; alternatively, if you cannot identify α Mon, you can find the clusters by panning two and a half 5° fields E, then half a 5° field N from α CMa (Sirius). 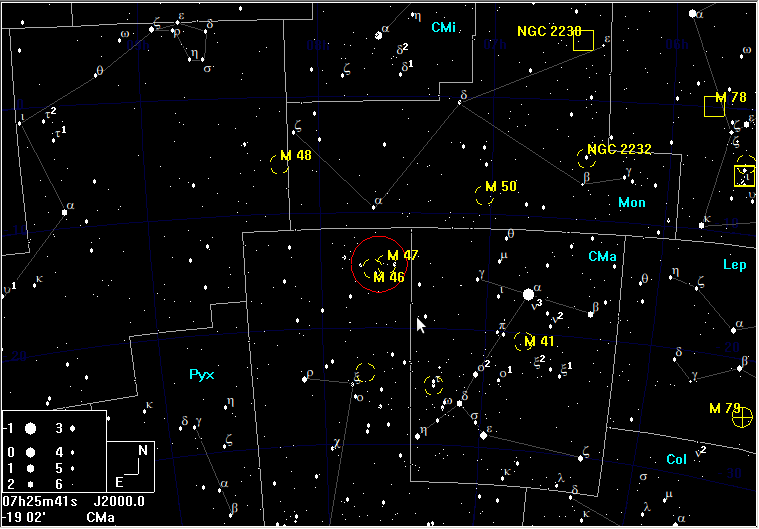 M46 and M47 offer, in the same field of view, a comparison between the binocular appearances of open clusters. 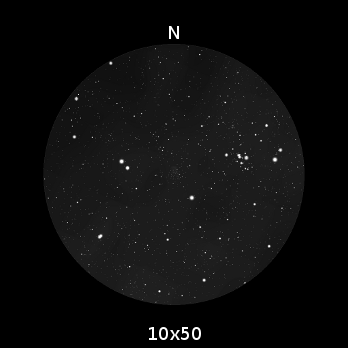 M46 is far more compact and you may not be able to resolve any stars in 10×50 binoculars. On the other hand, M47 is much looser and over half a dozen stars can be easily resolved with the 10×50s.